President Jeong Young-chae of NH Investment & Securities Co.
NH Investment & Securities published a book on its achievement in having 40,000 times more capital on Jan. 16 - its 50th anniversary – than it did 50 years ago. The company also set up a memorial hall to remember the notable events in its history. The book is a record of the company’s operation from its beginnings to the 50th year this month, and a memorial hall was set up at its NH Talent Personnel Institute located in Ilsan, Gyeonggi Province. Since his arrival at the company in March last year, President Jeong took time out to collect the materials of historical importance in the securities firm’s operation in a wide range of areas, including securities and investment banking in particular. He said the ceremony should be simple with its contents, meaningful to those who were involved in the company’s progress for the past half century. The company’s version of its historical record will be provided to a number of organizations, including the National Assembly, libraries of universities and colleges, public libraries and government offices. 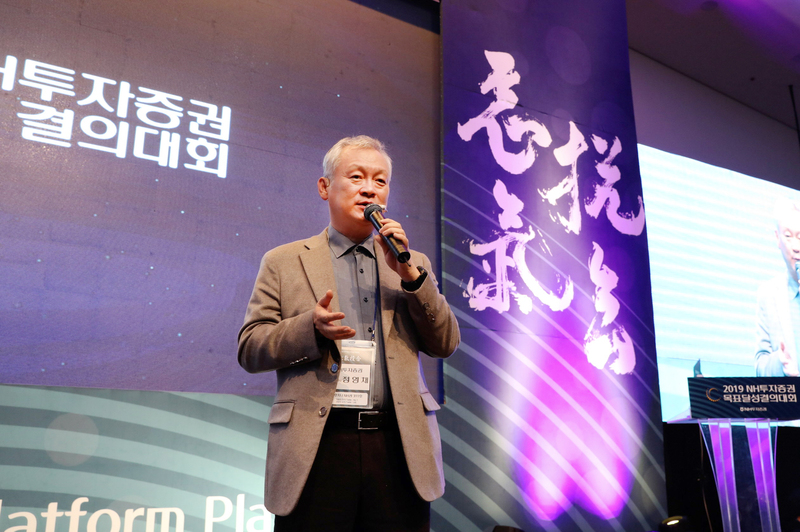 “We should continue to make reform and expand the business areas so that the company’s operating profit would reach 1 trillion won in the next five years,” President Jeong used to say. NH Investment & Securities traces its roots back to Hanbo Securities in December 1969, when 120 million won in capital was chipped in jointly by 12 insurance firms, which at the time was the most among the firms in the country. The company grew fast. In 1999 it merged with LG Integrated Finance, and then was merged with Woori Investment Securities and NH Securities in 2014 to become the company that it is today with a combined capital of 5.228 trillion won. The capital represents 40,000-times growth over the initial capital of 120 million won in 1969. Its total assets expanded 6 times in the past 20 years, totaling around 50 trillion won now from some 8 trillion won in 1999. The company introduced two kinds of special bonds on the special occasion, the share price-connected ELB and installment-type bonds. The installment-type bonds bear an annual interest rate of 5 percent, which is traded online with maximum subscription limit set for a subscriber set at 500,000 won. President Jeong, true to his reputation as an IB expert, divided up the company’s IB operation into two sectors in a company-wide reorganization as soon as he took over the company as the CEO early last year. NH Investment & Securities has been leading the Korean securities industry by performing a pivotal role in the growth and development of the Korean capital market. Equipped with superior competitiveness across all business areas, NH Investment & Securities has continued to provide creative financial service to customers. The company is preparing to take a big leap forward based on new synergies with the NongHyup Financial Group. 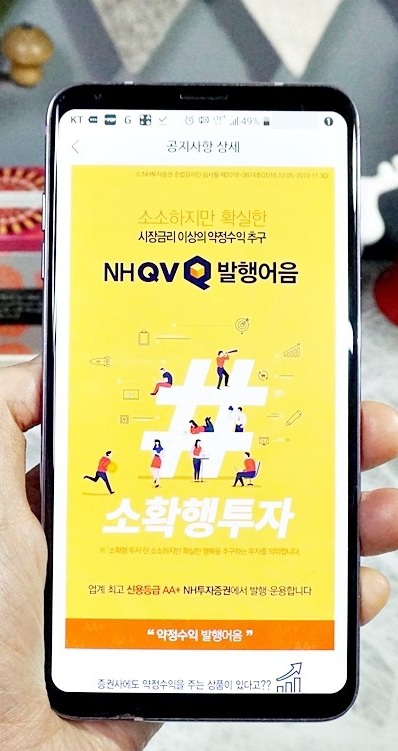 By establishing 1) a sustainable growth business model which focuses on prioritizing customers, and 2) unrivaled institutional client business competitiveness, NH Investment & Securities will secure the stature of being the No.1 Securities Firm in Korea. The rise of NH Financial Group to the nation’s fourth-largest financial group has not only reshaped the local financial landscape, but also wowed critics who had been skeptical of whether it was capable of such a feat. In the recent process of acquiring Woori Investment & Securities, Woori Aviva Life Insurance and Woori Savings Bank, the group has beaten Woori Financial Group in terms of assets.